This article is about the province in South Africa. For other uses, see Limpopo (disambiguation). "Northern Transvaal" redirects here. For the rugby union team, see Blue Bulls. Limpopo ( UK: /lɪmˈpoʊpoʊ/ ; Bapedi /Northern Sotho, Tsonga, Venda, Afrikaans, Tswana : Limpopo; Southern Ndebele : ILimpopo) is the northernmost province of South Africa. It is named after the Limpopo River, which forms the province's western and northern borders. The name "Limpopo" has its etymological origin in the Northern Sotho language word diphororo tša meetse, meaning "strong gushing waterfalls". The capital is Polokwane (formerly Pietersburg). British English is the standard dialect of English language as spoken and written in the United Kingdom. Variations exist in formal, written English in the United Kingdom. For example, the adjective wee is almost exclusively used in parts of Scotland and Ireland, and occasionally Yorkshire, whereas little is predominant elsewhere. Nevertheless, there is a meaningful degree of uniformity in written English within the United Kingdom, and this could be described by the term British English. The forms of spoken English, however, vary considerably more than in most other areas of the world where English is spoken, so a uniform concept of British English is more difficult to apply to the spoken language. According to Tom McArthur in the Oxford Guide to World English, British English shares "all the ambiguities and tensions in the word 'British' and as a result can be used and interpreted in two ways, more broadly or more narrowly, within a range of blurring and ambiguity". Northern Sotho, also known by the name of its standardised dialect version Sepedi is a Bantu language spoken primarily in South Africa, where it is one of the 11 official languages. According to the 2011 census it was the first language of 4,618,576 people in South Africa, principally in the provinces of Limpopo, Gauteng and Mpumalanga. Tsonga or Xitsonga is a southern African Bantu language spoken by the Tsonga people. It is mutually intelligible with Tswa and Ronga, and the name "Tsonga" is often used as a cover term for all three, also sometimes referred to as Tswa-Ronga. The Xitsonga language has been standardized for both academic and home use, making it the base language for the Tsonga people. Like with many other languages, there are various dialects within the Tsonga language group. The province was formed from the northern region of Transvaal Province in 1994, and was initially named Northern Transvaal. 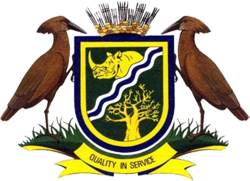 The following year, it was renamed Northern Province, which remained the name until 2003, when it was formally changed to Limpopo after deliberation by the provincial government and amendment of the South African Constitution. An alternate name considered for the province was Mapungubwe. Geographical renaming is the changing of the name of a geographical feature or area. This can range from the change of a street name to a change to the name of a country. Some names are changed locally but the new names are not recognised by other countries, especially when there is a difference in language. Other names may not be officially recognised but remain in common use. Many places have different names in different languages, and a change of language in official or general use has often resulted in what is arguably a change of name. There are many reasons to undertake renaming, with political motivation being the primary cause; for example many places in the former Soviet Union and its satellites were renamed to honour Stalin. Sometimes a place reverts to its former name. One of the most common reasons for a country changing its name is newly acquired independence. When borders are changed, sometimes due to a country splitting or two countries joining together, the names of the relevant areas can change. This, however, is more the creation of a different entity than an act of geographical renaming. The Constitution of South Africa is the supreme law of the Republic of South Africa. It provides the legal foundation for the existence of the republic, sets out the rights and duties of its citizens, and defines the structure of the government. The current constitution, the country's fifth, was drawn up by the Parliament elected in 1994 in the South African general election, 1994. It was promulgated by President Nelson Mandela on 18 December 1996 and came into effect on 4 February 1997, replacing the Interim Constitution of 1993. The Northern Sotho language is spoken by more than 60% of Limpopo's population. The Northern Sotho people also traditionally occupy more than 70% of land mass in the province, with the Tsonga and the Venda both sharing less than 30% of the remaining land mass. 74% of dwelling is located in a tribal or traditional area, compared to a national average of 27.1%. Traditional leaders and chiefs still form a strong backbone of the province’s political landscape. Established in terms of the Limpopo House of Traditional Leaders Act, Act 5 of 2005, the Limpopo House of Traditional Leaders’s main function is to advise government and the legislature on matters related to custom, tradition and culture including developmental initiatives that have an impact on rural communities. Kgoshi Malesela Dikgale was re-elected as the Chairperson of Limpopo House of Traditional Leaders in 2017. Venda was a Bantustan in northern South Africa, which is fairly close to the South African border with Zimbabwe to the north, while to the south and east, it shared a long border with another black homeland, Gazankulu. It is now part of the Limpopo province. Venda was founded as a homeland by the South African government for the Venda people, speakers of the Venda language. The United Nations and international community refused to recognise Venda as an independent state. Limpopo province is also home to the Zion Christian Church (or ZCC), also known as Boyne, the largest African initiated church operating across Southern Africa. The church's headquarters are at Zion City Moria in Limpopo Province, South Africa (Northern Transvaal). According to the 1996 South African Census, the church numbered 3.87 million members. By 2001, its membership had increased to 4.97 million members. The final number of ZCC members today is most likely between 8 and 10 million, in total, according to figures provided by Neal Collins from The New Age and Alex Matlala from The Citizen, two South African newspapers. Limpopo Province shares international borders with districts and provinces of three countries: Botswana's Central and Kgatleng districts to the west and northwest respectively, Zimbabwe's Matabeleland South and Masvingo provinces to the north and northeast respectively, and Mozambique's Gaza Province to the east. Limpopo is the link between South Africa and countries further afield in sub-Saharan Africa. On its southern edge, from east to west, it shares borders with the South African provinces of Mpumalanga, Gauteng, and North West. Its border with Gauteng includes that province's Johannesburg-Pretoria axis, the most industrialised metropole on the continent. The province is at the centre of regional, national, and international developing markets. Botswana, officially the Republic of Botswana, is a landlocked country in Southern Africa. Formerly the British protectorate of Bechuanaland, Botswana adopted its new name after becoming independent within the Commonwealth on 30 September 1966. Since then, it has maintained a tradition of stable representative republic, with a consistent record of uninterrupted democratic elections and the best perceived corruption ranking in Africa since at least 1998. It is currently Africa's oldest continuous democracy. Central is the largest of Botswana's districts in terms of area and population. It encompasses the traditional homeland of the Bamangwato people. Some of the most politically connected Batswana have come from the Central District, including former President Sir Seretse Khama, former President Festus Mogae, and current President Lt. General Seretse Ian Khama. The district borders the Botswanan districts of Chobe in the north, North-West in the northwest, Ghanzi in the west, Kweneng in southwest, Kgatleng in the south and North-East in the northeast, as well as Zimbabwe also in the northeast and South Africa in the southeast. Kgatleng is one of the districts of Botswana, coterminous with the homeland of the Bakgatla people. Its capital is Mochudi, the hometown of protagonist Precious Ramotswe in Alexander McCall Smith's popular The No. 1 Ladies' Detective Agency series. According to the 2001 Census, Kgatleng had a population of 73,507 people. Limpopo contains much of the Waterberg Biosphere, a massif of approximately 15,000 km2 (5,800 sq mi) which is the first region in the northern part of South Africa to be named a UNESCO Biosphere Reserve. The massif was shaped by hundreds of millions of years of riverine erosion yielding diverse bluff and butte landforms. The Waterberg ecosystem can be characterised as a dry deciduous forest or Bushveld. Within the Waterberg, archaeological finds date to the Stone Age. Nearby are early evolutionary finds related to the origin of humans. The Waterberg is a mountainous massif of approximately 654,033 hectare in north Limpopo Province, South Africa. The average height of the mountain range is 600 m with a few peaks rising up to 2000 m above sea level. Vaalwater town is located just north of the mountain range. The extensive rock formation was shaped by hundreds of millions of years of riverine erosion to yield diverse bluff and butte landform. The ecosystem can be characterised as a dry deciduous forest or Bushveld. Within the Waterberg there are archaeological finds dating to the Stone Age, and nearby are early evolutionary finds related to the origin of humans. In geology, a massif is a section of a planet's crust that is demarcated by faults or flexures. In the movement of the crust, a massif tends to retain its internal structure while being displaced as a whole. The term also refers to a group of mountains formed by such a structure. 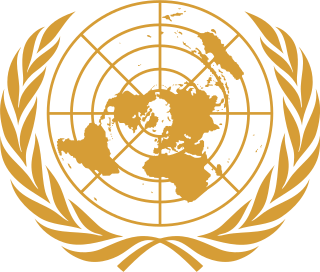 The United Nations Educational, Scientific and Cultural Organization is a specialized agency of the United Nations (UN) based in Paris. Its declared purpose is to contribute to peace and security by promoting international collaboration through educational, scientific, and cultural reforms in order to increase universal respect for justice, the rule of law, and human rights along with fundamental freedom proclaimed in the United Nations Charter. It is the successor of the League of Nations' International Committee on Intellectual Cooperation. Sundown over one of the mountain ranges found in Limpopo. The current Premier of Limpopo Province is Stanley Mathabatha, representing the African National Congress. Chupu Stanley Mathabatha is a South African politician and the current premier of the Limpopo province. Mathabatha is a former Umkhonto we Sizwe (MK) guerrilla, he is also the Provincial Chairperson of the African National Congress (ANC) in Limpopo Province since February 2014. The African National Congress (ANC) is the Republic of South Africa's governing political party. It has been the ruling party of post-apartheid South Africa on the national level, beginning with the election of Nelson Mandela in the 1994 election. Today, the ANC remains the dominant political party in South Africa, winning every election since 1994. Cyril Ramaphosa, the incumbent President of South Africa, has served as leader of the ANC since 18 December 2017. The bushveld is beef cattle country, where extensive ranching operations are often supplemented by controlled hunting. About 80% of South Africa's game hunting industry is found in Limpopo. Sunflowers, cotton, maize and peanuts are cultivated in the Bela-Bela and Modimolle areas. Modimolle is also known for its table grapes. Tropical fruit, such as bananas, litchis, pineapples, mangoes and pawpaws, as well as a variety of nuts, are grown in the Tzaneen and Louis Trichardt areas. Tzaneen is also at the centre of extensive citrus, tea and coffee plantations, and a major forestry industry. Ajoite in quartz, from the Messina mine, Limpopo Province, South Africa. Scale at bottom is one inch, with a rule at one cm. Limpopo's rich mineral deposits include the platinum group metals, iron ore, chromium, high- and middle-grade coking coal, diamonds, antimony, phosphate, and copper, as well as mineral reserves like gold, emeralds, scheelite, magnetite, vermiculite, silicon, and mica. Commodities such as black granite, corundum, and feldspar are also found. Mining contributes to over a fifth of the provincial economy. The province has excellent road, rail, and air links. The N1 route from Johannesburg, which extends the length of the province, is the busiest overland route in Africa in terms of cross-border trade in raw materials and beneficiated goods. The port of Durban, South Africa’s busiest, is served directly [ clarification needed ] by the province, as are the ports of Richards Bay and Maputo. Polokwane International Airport is situated just north of Polokwane. The Department of Education is charged with the responsibility of effecting quality education and training for all. The Department has to coordinate all professional development and support. Policies, systems, and procedures had to be developed. Association football: Polokwane was one of South Africa's host cities for the 2010 FIFA World Cup, with matches being played at the Peter Mokaba Stadium. Football clubs in the province include Real Rovers, Silver Stars, Back Leopards, Polokwane City, Baroka, Ria Stars, and Dinamos. Rugby union: Limpopo has no provincial rugby team of its own; it is represented in the domestic Currie Cup by the Pretoria-based Blue Bulls. The Blue Bulls also operate a Super Rugby franchise, known simply as the Bulls. Limpopo nonetheless produces its share of top players. Most notably, the two most-capped forwards in the history of the country's national team, John Smit and Victor Matfield, are both natives of Polokwane. Basketball: The province is home to Limpopo Pride, a professional team that plays in South Africa's top basketball division, the Basketball National League. The population of Limpopo consists of several ethnic groups distinguished by culture, language and race. 97.3% of the population is Black, 2.4% is White, 0.2% is Coloured, and 0.1% is Indian/Asian. The province has the smallest percentage and second smallest total number of white South Africans in the country. It also has the highest Black percentage out of all the provinces. The Northern Sotho people (of which the Bapedi are a part) make up the largest percentage of the black population, being 52% of the province. The Tsonga people comprise about 24.0% of the province; the Tsonga also comprise about 11.5% of Mpumalanga province since the southern part of their homeland, Gazankulu, was cut off from Limpopo and allocated to Mpumalanga. The Venda make up about 16.7%. Afrikaners make up the majority of Limpopo's white population, about 95,000 people; English-speaking whites number just over 20,000. Vhembe district has the smallest share of white people in Limpopo, about 5,000 total, while the Waterberg district has the largest share of whites, with more than 60,000 whites residing there. Coloureds and Asians/Indians make up a very small percentage of the province's total population. The Province of the Transvaal, commonly referred to as the Transvaal, was a province of South Africa from 1910 until the end of apartheid in 1994, when a new constitution subdivided it. The name "Transvaal" refers to the province's geographical location to the north of the Vaal River. Its capital was Pretoria, which was also the country's executive capital. Mpumalanga is a province of South Africa. The name means "east", or literally "the place where the sun rises" in the Swazi, Xhosa, Ndebele and Zulu languages. Mpumalanga lies in eastern South Africa, bordering Swaziland and Mozambique. It constitutes 6.5% of South Africa's land area. It shares borders with the South African provinces of Limpopo to the north, Gauteng to the west, the Free State to the southwest, and KwaZulu-Natal to the south. The capital is Mbombela (Nelspruit). Modimolle, formerly Nylstroom, is a town located near the southern edge of the Waterberg Massif in Limpopo province, South Africa. It is a medium-sized town that focuses primarily on agriculture and farming as well as wildlife and tourism. Modimolle is also located approximately 135 kilometres north of Pretoria, South Africa's capital city. Lephalale or Ellisras is a coal mining town in the Limpopo province of South Africa immediately east of the Waterberg Coalfield. The town was established as Ellisras in 1960 and named after Patrick Ellis and Piet Erasmus who settled on a farm there in the 1930s. In 2002, Ellisras was renamed Lephalale by the provincial government of Limpopo, after the main river that crosses the municipality. Lephalale is divided into three main subsections, Ellisras, Onverwacht and Marapong. Lephalale is derived from the setswana language meaning "to flow". Vaalwater is a small town situated on the Mokolo River in the Limpopo province of South Africa. Bela-Bela is a town in the Limpopo Province of South Africa. Deriving its name from the geothermic hot springs around which the town was built, it was called Warmbaths, until 2002. Phalaborwa is a town in the Mopani District Municipality, Limpopo province, South Africa. It is located near the confluence of the Ga-Selati River and the Olifants, halfway up along the western border of the Kruger National Park in the Lowveld. Tzaneen is a large tropical garden town situated in the Mopani District Municipality of the Limpopo province in South Africa. It is situated in a lush, high rainfall fertile region with tropical and subtropical agriculture taking place in a 20,000 km2 region. It is Limpopo's second largest town after Polokwane. The Bushveld is a sub-tropical woodland ecoregion of Southern Africa named after the term veld. It encompasses most of Limpopo Province and a small part of the North West Province of South Africa, the Central and North-East Districts of Botswana and the Matabeleland South and part of the Matabeleland North provinces of Zimbabwe. Kruger National Park in South Africa has a number of 'Bushveld' camps. Gazankulu was a bantustan in South Africa, intended by the apartheid government to be a semi-independent homeland for the Tsonga people. It was located in both the Northern Transvaal, now Limpopo province and Eastern Transvaal, now Mpumalanga province. It must not be confused with the Gaza kingdom which once existed in Mozambique. Vhembe is one of the 5 districts of Limpopo province of South Africa. It is the northernmost district of the country and shares its northern border with Beitbridge district in Matabeleland South, Zimbabwe and on the east with Gaza Province in Mozambique. Vhembe consist of all territories that were part of the former Venda Bantustan, however, two large densely populated districts of the former Tsonga homeland of Gazankulu, in particular, Hlanganani and Malamulele were also incorporated into Vhembe, hence the ethnic diversity of the District. The seat of Vhembe is Thohoyandou, the former Capital of the former Venda Bantustan. According to 2011 census, the majority of Vhembe residents, about 800 000, speak TshiVenda as their mother language, while 400 000 speak Xitsonga as their home language. However, the Tsonga people are in majority south of Levubu River and they constitute more than 85% of the population in the south of the historic river Levubu, while the Venda are in Minority south of Levubu, at 15%. The Northern Sotho speakers stands at 27 000. The district code is DC34. Mopani is one of the 5 districts of Limpopo province of South Africa. The seat of Mopani is Giyani. According to the 2016 Community Survey it has a population of 1,159,185, of whom the majority speak Tsonga or Northern Sotho. The district code is DC33. After the 12th amendment of the Constitution of South Africa part of the area of the Bohlabela district was incorporated into Mopani. Capricorn is one of the 5 districts of Limpopo province of South Africa. The district is named after the Tropic of Capricorn which runs through it. The capital of Capricorn is Polokwane. The majority of its 1 154 673 people speak Northern Sotho. The district code is DC35. Waterberg is one of the 5 districts of Limpopo province of South Africa. The seat of Waterberg is Modimolle. The majority of its 745 758 people speak Sepedi, also known as Northern Sotho. The district code is DC36. The Limpopo Division of the High Court of South Africa is a superior court of law with general jurisdiction over the Limpopo province of South Africa. The main seat of the court in Polokwane opened on 25 January 2016. The court also has local seats at Thohoyandou and Lephalale. Before the opening of the division, the Gauteng Division at Pretoria had jurisdiction over Limpopo and circuit courts sat at Polokwane. Sekhukhuneland or Sekukuniland is a natural region in north-east South Africa, located in the historical Transvaal zone, former Transvaal Province. The Bobirwa Subdistrict in Botswana is an area populated by the Babirwa (Ba-Birwa) people who came from Transvaal in present-day South Africa. The Waterberg Coalfield is an extensive deposit of coal in the Ellisras Basin in South Africa, lying mostly in the Waterberg District Municipality of the Limpopo province. Mining is increasing, both for export and for local power production, and industry in the region is expected to expand. This may have significant impact on the dry and fragile Limpopo basin ecosystems. Provincial routes are the second category of road in the South African route-numbering scheme. They are designated with the letter "R" followed by a number from 21 to 82 formerly with the letter "P" followed by a number from 66 They serve as feeders to the national routes and as trunk roads in areas where there is no national route. 1 2 3 4 Census 2011: Census in brief (PDF). Pretoria: Statistics South Africa. 2012. ISBN 9780621413885. Archived (PDF) from the original on 13 May 2015. ↑ Mid-year population estimates, 2018 (PDF) (Report). Statistics South Africa. 31 July 2018. p. 3. Retrieved 29 July 2018. ↑ "Sub-national HDI - Area Database - Global Data Lab". hdi.globaldatalab.org. Retrieved 2018-09-13. ↑ "Limpopo Province - An Overview". dolimpopo.com. Archived from the original on 1 February 2017. Retrieved 20 January 2017. ↑ "Minister Dlamini to conduct two day Ministerial visit in Vhembe". Limpopo.gov.za. Retrieved 21 December 2017. ↑ "Mmamabula Coalfield". Cicenergycorp.com. February 2012. Archived from the original on 6 November 2010. Retrieved 21 September 2012. ↑ "The Big Baobab Limpopo South Africa | The Largest Baobab in the World". Bigbaobab.co.za. 2011-03-24. Retrieved 2014-08-02. ↑ "HIV and AIDS in South Africa". Avert.org. 21 July 2015. Retrieved 21 December 2017. Wikivoyage has a travel guide for Limpopo . Wikimedia Commons has media related to Limpopo .